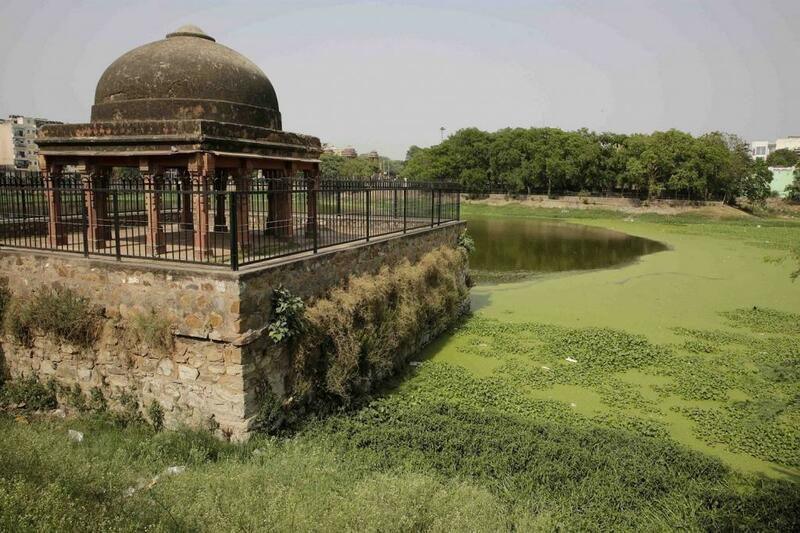 One of the most historical water bodies, Hauz-e-Shamsi, is shrinking. Residents around this water body fear its extinction. Once spread over 100 hectares, this water body (locally known as the Shamsi talaab) has shrunk into a patch of filthy water over the years. Rainwater from nearby catchments is the only source of water to the lake. Due to concretisation, there has been a massive loss in water restored to the lake. 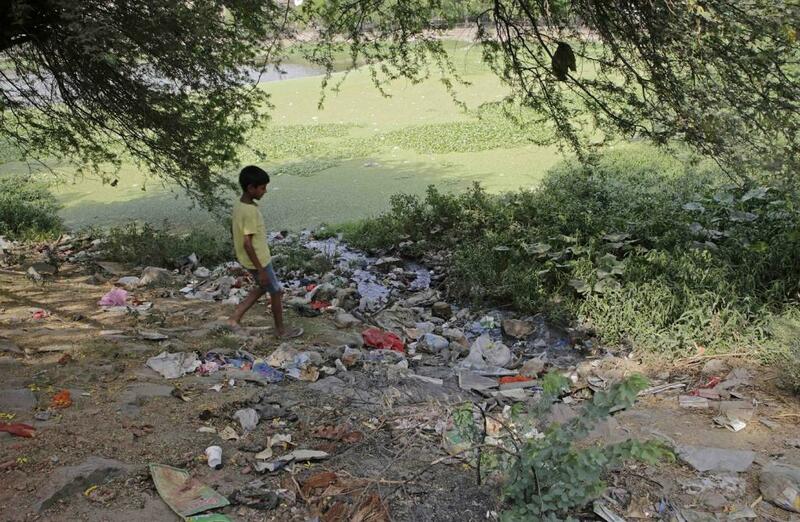 “Loss of catchments, dumping of waste, sewage discharge and lack of political will are some of the cited reasons behind the present state of Shamshi talab,” says Lalit Gupta, secretary of the Shamsi Talaab Resident Welfare association (Mehrauli). There are channels and drains that are connected to the reservoir to divert rainwater from available catchments, but this is not sufficient enough to maintain appropriate level of water. To address this, community came forward and started a local initiative led by the association. They targeted municipal sewage drains that collect sewerage from neighboring colonies. This drain is present along the lake. To treat sewage water and to use treated water to fill lake, members of the community established a decentralised sewage treatment plant (STP) by spending Rs 60,000. After initial operationalisation of four to five months, they found that the water level rose upto to 10 feet. The regular water quality monitoring was also done by the residents itself. But ASI officials closed the unit and promised a new treatment system in collaboration with DJB in due course of time. “Till date, no work has been undertaken by either DJB or ASI. They are just empty promises and nothing more than that,” adds Gupta. V K Jain, founder of Delhi-based non-profit Tapas, who moved court for saving Delhi’s lake and water bodies, says, “We received order from courts for cleaning water bodies several times, but a regular monitoring and cleaning is never done. Initially, it was done for two or three year, but then the programme stopped. Frequency was never maintained for cleaning activities, hence, whole exercise lost its value.” Even if the lake is cleaned regularly, the concern is the lowering water level. It is time we realised that if water level is not maintained, the remaining aquatic life in the lake will soon disappear. “Treated wastewater available from nearby operational STPs with BOD (biological oxygen demand) level less than 3 mg/L can be a good alternative to filling the lake,” adds Jain. The present situation of Shamsi Talab is a result of the apathy of government agencies. Once a water-sufficient lake now looks like an unhygienic, mosquito-breeding site full of aquatic weeds. Apart from creating awareness, there is an urgent need to make provision for water supply to the lake, in addition to regular cleaning and desilting. Otherwise, it will soon be lost and turn into a dry dumping ground.